In this day and age, self defense weapons may play a vital role in saving yours or some other friend's or relative's life. 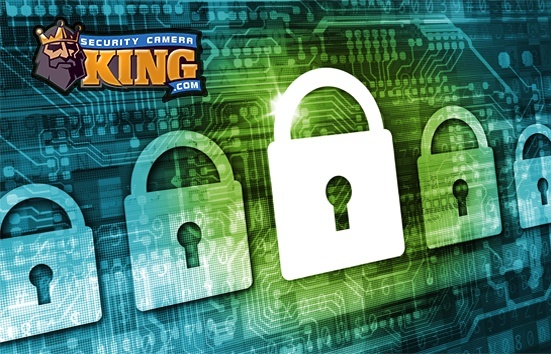 Security Camera King recognizes this fact and carries, in addition to its wide supply of security video system supplies, an ample supply of practical self defense weapons. In this day and age, self defense weapons may play a vital role in saving yours or some other friend’s or relative’s life. Security Camera King recognizes this fact and carries, in addition to its wide supply of security video system supplies, an ample supply of practical self defense weapons. Check out our full line of self defense weapons. We carry folding knives, handcuffs, mace pepper sprays, animal repellent, stun guns, tazers, and even instructional fighting DVDs. The following is a brief description of some of the self defense weapons and devices that we offer. For prices and more specific information on specific devices click on “Personal Protection” on the left hand side of our web page and select the specific item you are interested in. Security Camera King carries several different folding knives that can be used as self defense weapons. Fend off would be attackers with the flash of a professional folding knife. These knives are constructed of professional grade 420 stainless steel and are designed for easy opening with just one hand. We have a variety of shapes, sizes, colors and clip types. Locking cuffs aren’t always considered as a self defense weapon, however restraining an individual can be your first line of self defense. Security Camera King offers a variety of metal locking cuffs, including thumb cuffs, handcuffs, and leg cuffs. The original chemical composition of mace was a 1% solution of phenacyl chloride, a tear gas chemical, suspended in a solution of 2-butanol, propylene glycol, cyclohexene, and dipropylene glycol methyl ether. Since this formulation is not allowed in many states and several countries, it is marketed on a limited basis by the owner of the registered trademark, Mace Security International. 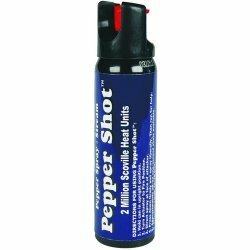 Most sprays designed as self defense weapons today and most marketed by Mace are now pepper sprays. We even offer the Mace brand “Triple Action” spray that contains pepper, tear gas, and ultraviolet dye that can help to identify an assailant. Not only can self defense weapons protect you from people attempting to do you harm, but attacks by animals are prevalent too. Just ask the postman, utility meter reader, or package courier. For times when the animal kingdom has you cornered we suggest our Mace brand canine repellent spray or even our Mace brand or Guard Alaska bear sprays. We also carry an electronic ultrasonic dog repeller. This electronic device operates on a 9 volt battery to produce a sound that humans can’t hear but dogs can. The repeller also has a bright LED strobe light and together they can prevent a dog from advancing up to 40 feet away. Stun guns are handheld devices that deliver a high voltage, low amperage charge when they come in contact with your assailant. This much electrical energy at once causes several reactions in muscle and nerve cells, interrupting their normal ability to function, throwing your attacker off balance and momentarily stunned, allowing you the opportunity to escape. We have many varieties, types and accessories ranging from straight stun guns that deliver a 100,000 volt jolt, to stun guns that look like lipstick cases that deliver a 950,000 volt jolt to a flash light offers up a charge of 3.5 million volts. Tazers have been called the stun gun that flies. Our Taser brand Tazers shoot two small dart-like electric probes into a potential assailant up to 15 feet away. Once the darts make contact, its time for power; several thousand volts of power. We offer a full line of tazers and tazer accessories including holsters, batteries, and secondary cartridge clips. So if it’s self defense weapons that you’re looking for, remember that Security Camera King carries more than just security cameras. Check out our full selection of items today.